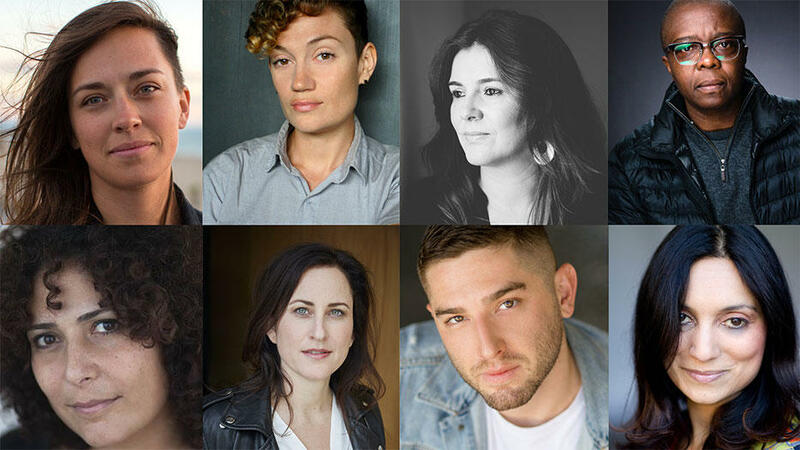 Sundance Institute announced today the eight members of the inaugural class of the Momentum Fellowship, a full-year program of deep, customized creative and professional support for writers, directors, and producers from underrepresented communities working across documentary and feature filmmaking, episodic content, and virtual reality, who are poised to take the next step in their careers. The Momentum Fellowship evolved from the former Women at Sundance Fellowship, a highly successful model that merited evolution and expansion for impact across a greater cohort of underrepresented communities. Those eligible for this larger, more intersectional program now include artists identifying as women, non-binary, and/or transgender, artists of color, and artists with disabilities. The 2019 Momentum Fellows are Alexandria Bombach, Amber Fares, Josh Feldman, Yance Ford, Ro Haber, Megha Kadakia, Alysa Nahmias, and Eva Vives. “After supporting six classes of Women at Sundance fellows, we are thrilled to expand the fellowship to include voices from underrepresented communities. The Momentum Fellowship offers critical support so that artists can fulfill their potential, create sustainable careers, and form a close-knit cohort that will develop into an invaluable alliance,” said Caroline Libresco, Director of Women at Sundance. The robust, year-long Momentum Fellowship is made possible thanks to the generous support and strategic partnership of The Harnisch Foundation and Warner Bros. Pictures. The Fellowship includes professional mentorship; coaching through the Harnisch Coaching Program offered by Renee Freedman and Company; an artist sustainability grant; travel grants to the Sundance Film Festival to participate in curated activities; introductions to branded and episodic content; and bespoke year-round support. Additionally, Sundance Institute has partnered with Warner Bros. Pictures to establish the Sundance Institute | Warner Bros. Feature Film Directors Track. In keeping with the company’s greater goals of inclusion and commitment to diversity in front of and behind the camera, Warner Bros. is dedicated to helping nurture and grow this new class of Fellows, which includes access to executives and workshops hosted on the studio’s Burbank lot. The Momentum Fellowship Program is meant to allow for customized activities and sub-groups where necessary, while still organized under the banner of an intersectional fellowship. Sundance Institute gratefully acknowledges each of the contributors to its Outreach and Inclusion Department and Women at Sundance, whose partnership has enabled the Institute to support dozens of bold and underrepresented voices in independent storytelling throughout the evolution of its programming. Alexandria Bombach is an award-winning cinematographer, editor, and director from Santa Fe, New Mexico. Her feature-length documentary On Her Shoulders follows Nadia Murad, a 23-year-old Yazidi woman who survived genocide and sexual slavery committed by ISIS. Repeating her story to politicians and media, Nadia was thrust onto the world stage as the voice of her people. Away from the podium, she must navigate bureaucracy, fame, and people’s good intentions. On Her Shoulders premiered at the 2018 Sundance Film Festival where Alexandria won Best Directing in the U.S. Documentary Competition. Her first feature-length documentary, Frame By Frame, follows the lives of four Afghan photojournalists who are facing the realities of building Afghanistan’s first free press. The film had its world premiere at SXSW 2015, went on to win more than 25 film festival awards and screened in front of the president of Afghanistan, Ashraf Ghani. Alexandria continued her work in Afghanistan in 2016, directing the Pulitzer Center-supported New York Times Op-Doc, Afghanistan By Choice – an intertwining portrait of five Afghans who must weigh the costs of leaving or staying as the country’s security deteriorates. In addition to her feature documentary work, Alexandria’s production company RED REEL has been producing award-winning, character-driven stories since 2009. Her 2013 film Common Ground unearths the emotion behind a proposed wilderness-area addition for a community in Montana – as heritage and tradition are seemingly defended on both sides. Her Emmy Award-winning 2012 series MoveShake captured the internal conflicts of people dedicating their lives to a cause. Alexandria is currently working on her next feature documentary, writing her first narrative script, and freelancing as a cinematographer and an editing consultant. If time allows, you can also find her weaving blankets on her loom or making ceramics on her wheel. Amber Fares is an award-winning documentary director, producer and cinematographer. Her recent projects include Senior Producer/Cinematographer on America Inside Out with Katie Couric(2018), which aired on National Geographic, and cinematographer and co-producer on the feature length documentary The Judge (2017), which premiered at TIFF and will air on PBS this fall. Amber was also brought on as an Associate Producer on Transparent Season 4 (2017), where she consulted specifically on storylines that took place in Palestine. Amber’s debut film, Speed Sisters (2015), premiered at HotDocs and is currently playing on Netflix globally. The Saudi Gazettenamed it one of the top 10 films to watch on Netflix and The New York Times called it “subtly rebellious and defiantly optimistic.” Amber is currently working with Grace Lee and Marjan Safinia on the feature length documentary called And She Could Be Next about women of color running for political office across America. Amber’s films have won numerous awards and have played in film festivals around the world, including TIFF, Sheffield, Hot Docs, IDFA, CPH:Dox and Doc NYC. Her work has been featured on CNN, Al Jazeera, ALLURE, Amazon, PBS, VICE and National Geographic. Amber was a 2015 Sundance Catalyst Fellow, 2014 Sundance Institute Edit and Story Lab Fellow and spoke at TedXWomen Barcelona 2013. Josh Feldman is a lifelong writer, whose first recognition came in the form of a Young Playwrights Award from Arena Stage in Washington, D.C. He is currently in production on the second season of an original television series he co-created and wrote for SundanceNow, This Close, on which he also stars. The show had its world premiere at the Sundance Film Festival in 2018, where he premiered the webseries the show is based on the year before. Yance Ford is an Oscar and Emmy nominated director based in New York City. His debut film Strong Island was nominated for Best Documentary Feature at the 90th Academy Awards when Ford made history as the first trans director nominated for an Oscar. Strong Island won the Gotham Award for Best Documentary, the Sheffield DocFest Tim Hetherington Award, the Full Frame Filmmaker & Charles E. Guggenheim Emerging Artist Award and the Black Film Critics Circle Award for Best Documentary. Strong Island premiered at the Sundance Film Festival winning a U.S. Documentary Special Jury Award for Storytelling. Strong Island launched globally on Netflix in September 2017. A graduate of Hamilton College and the Production Workshop at Third World Newsreel, Ford is a Sundance Institute Fellow, a MacDowell Colony Fellow and a Creative Capital Grantee and the 2017 IDA Emerging Filmmaker Award. During his tenure as Series Producer at POV his curatorial work garnered over five Emmy Awards and 16 Emmy nominations. Strong Island was nominated for a George Foster Peabody Award and at the 11th Annual Cinema Eye Honors became the first nominee ever to win for Best Direction and Best Debut and Best Feature. The film was recently nominated for a Primetime Emmy for Exceptional Merit in Documentary Filmmaking. The Root named Yance Ford among the 100 most influential African Americans of 2017 and in September he became a Sundance Institute Art of Non-Fiction grantee for a nonfiction project in development. Yance is represented by Jessica Lacy, ICM Partners and Nina Shaw, Del Shaw Moonves Tanaka Finkelstein & Lezcano. Ro Haber is an aesthetically minded writer and director whose work spans the Narrative, Documentary and VR spaces. They are a graduate of NYU Tisch School of the Arts and have been a fellow of Film Independent’s Episodic Lab, Outfest’s Screenwriting lab, AFI’s Directing Workshop for Women, and Universal’s inaugural Directing Program. They were listed on The Alice Initiative’s 2018 list of directors ready to helm studio films and most recently was a 2018 Ryan Murphy TV HALF Program fellow, shadowing on FX’s new show, Pose. They won the Audience Award at LA Film Festival and the New Orleans Film Festival, a Webby Award, the Grand Jury Prize at Outfest, and was nominated for a 2017 GLAAD award for their digital documentary series New Deep South, which premiered at the 2017 Tribeca Film Festival. Their doc series, Braddock, PA (on Topic) garnered praise from The New York Times and The New Yorker. Their most recent branded projects are with the Chan Zuckerberg Initiative, Stink Studios x LBGT Center x Google, and Tribeca x Bulgari. Obsessed with young, digital culture, Haber has recently ventured into the world of Virtual Reality. They were a 2017 Sundance New Frontiers Lab Fellow for Belle of the Ball, a VR project they are co-directing with Silas Howard and Pussykrew. They were a speaker at the Engadget Alternative Realities conference, which showcases the latest thinkers in Virtual and Augmented Reality. Their next project is called Chingonas, a young adult television show with conceptual horror elements. Megha Kadakia brings a unique blend of business experience and artistic vision to the world of independent filmmaking through her production company Blue Velocity Pictures. Kadakia has produced: Miss India America, starring Tiya Sircar and Hannah Simone, currently on Netflix worldwide; Raspberry Magic, starring Alison Brie and Bella Thorne, distributed to STARZ; and The Tiger Hunter, starring Danny Pudi, Jon Heder, Rizwan Manji, Karen David and Kevin Pollak, released nationwide Fall of 2017 through Shout Factory! and Regal Cinemas and currently on Netflix. Kadakia’s latest feature Hummingbird, with writer/director Tanuj Chopra and actress Sheetal Sheth, was filmed August 2018. Kadakia recently co-founded the global media entertainment brand for young girls, Super Amazing Princess Heroes, and works with filmmakers and activists to create social impact entertainment as Head of Media Production at Creative Visions. Kadakia worked at Disney | ABC, Deloitte Consulting and several film production organizations in the capacity of Business Development and Finance. She received an MBA from Columbia University, Graduate School of Business and a B.S. in BioChemistry and Specialization in Business from UCLA. Alysa Nahmias is an award-winning filmmaker and founder of the Los Angeles-based production company Ajna Films. Alysa’s directorial debut feature, Unfinished Spaces, co-directed with Benjamin Murray, won a 2012 Spirit Award, numerous festival prizes, and was selected for Sundance Film Forward. Unfinished Spaces is in the permanent collection at the Museum of Modern Art, New York. As a creative producer, Alysa’s most recent film is the Sundance award-winning Unrest (2017) directed by Jennifer Brea. Her producing credits also include: the Los Angeles Film Festival award-winning fiction feature No Light and No Land Anywhere (2016) by director Amber Sealey with executive producer Miranda July; Afternoon Of A Faun: Tanaquil Le Clercq directed by Nancy Buirski with creative advisor Martin Scorsese (2013); and Shield and Spear directed by Petter Ringbom (2014). As a consulting producer, Nahmias frequently advises on films such as Academy Award-nominated director Jennifer Redfearn’s Tocando La Luz (2015) and Abby Epstein and Ricki Lake’s Weed the People (2018). Alysa’s work has been shown at festivals and exhibitions worldwide, including Sundance, Berlinale, SXSW, HotDocs, Sheffield Doc/Fest, CPH:DOX, Film Society of Lincoln Center’s Sound + Vision, and has been released theatrically in the US and UK, exhibited at MoMA and the Venice Biennale, and broadcast on Netflix, PBS, and HBO. Alysa is a 2017 Sundance Creative Distribution Fellow, 2016 Sundance Catalyst Fellow, and 2013 Film Independent Fellow. She holds a B.A. from NYU’s Gallatin School of Individualized Study and an M.Arch with a Certificate in Media + Modernity from Princeton University. Currently, Alysa is directing two films about influential artists, producing a documentary about mobile home parks and the affordable housing crisis, executive producing another documentary about Afghan cinema during the communist era, and developing a limited series. Eva Vives is a graduate of NYU’s Tisch School of the Arts. In 2000, she won the Best Short Prize at the Sundance Film Festival and Cannes Film Festival with Five Feet High and Rising, a short she cast, edited and produced. She followed that up with the feature Raising Victor Vargas, which she co-wrote. Vives wrote and directed her short film Join the Club, which was premiered at the Sundance Film Festival in 2016, and played in many other festivals. She was also a finalist for the 2016 Atlanta Film Festival Filmmaker to Watch. Her auto-biographical directorial debut All About Nina, starring Mary Elizabeth Winstead and Common, opened in theaters September 2018. The Sundance Institute Outreach and Inclusion Department is made possible by founding support from Time Warner Foundation. Generous additional support is provided by the John S. and James L. Knight Foundation, Emerson Collective, Will and Jada Smith Family Foundation, NBCUniversal, The Harnisch Foundation, Warner Bros. Pictures, 21st Century Fox, Ford Foundation, Jason Delane Lee and Yvonne Huff Lee, Netflix, SAGindie, and Philip Fung-A3 Foundation, and Rotten Tomatoes. Women at Sundance is made possible by leadership support from The Harnisch Foundation and Refinery29. Additional support is provided by Paul and Katy Drake Bettner, Barbara Bridges, Abigail Disney and Pierre Hauser, Cristina Ljungberg, Susan Bay Nimoy, Brenda Robinson, Kimberly Steward, Lynda Weinman and Bruce Heavin, Jenifer and Jeffrey Westphal, The Jacquelyn & Gregory Zehner Foundation, Ann Lovell, Mercer, Vanessa and Rafaela Evans - Red Butterfly Foundation, Visionary Women, Gruber Family Foundation, Pritzker Pucker Family Foundation, and an anonymous donor. Founded in 1981 by Robert Redford, Sundance Institute is a nonprofit organization that provides and preserves the space for artists in film, theatre, and new media to create and thrive. The Institute’s signature Labs, granting, and mentorship programs, dedicated to developing new work, take place throughout the year in the U.S. and internationally. The Sundance Film Festival and other public programs connect audiences to artists in igniting new ideas, discovering original voices, and building a community dedicated to independent storytelling. Sundance Institute has supported such projects as Sorry to Bother You, Eighth Grade, Won’t You Be My Neighbor?, Hereditary, RBG, Call Me By Your Name, Get Out, The Big Sick, Top of the Lake, Winter’s Bone, Dear White People, Brooklyn, Little Miss Sunshine, 20 Feet From Stardom, Beasts of the Southern Wild, Fruitvale Station, I’m Poppy, America to Me, Leimert Park, Spring Awakening, A Gentleman’s Guide to Love and Murder and Fun Home.